Arriving in Cuba in the middle of the night, riding with an eccentric taxi driver to a school in the middle of nowhere and receiving a medical exam in Spanish while the tropical heat weighs down the air around you: bizarre, but one of my favourite memories as it was my arrival at the EICTV. 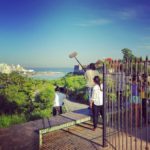 Studying documentary making with Enrique Colina, interviewing an eclectic mix of Havana residents and working through the night to perfect our final editing are all parts of the amazing experience that this course was. As well as drinking rum out of coconuts, of course! I was student of the summer school in 2010. The summer school was an incredible experience for me and I ended up applying to go to the school as a regular student full time. I was accepted on to the documentary program and was the first Canadian to graduate from the regular course at the EICTV in 2014 (3 year program). I have continued to direct documentary films (I am currently working on a feature with the National Film Board in Canada set to release in Spring 2017) and we will be doing some of the post-production at the EICTV. The school is very much a home to me. I think one of the most valuable things I have taken away from my time here in Cuba is learning how to work with very limited resources. It demands a clarity of intention pre-shoot and then a certain rigor in decision-making on your actual shoot days because there are parameters around the film. EICTV facilitates you with all of the essentials; palm trees, rum, swimming and film. It is essentially what school should be like. Buzzing with student and staff cineastes from all walks of life, it was the perfect environment to delve into the craft of filmmaking. Coming from a background in film theory, I was anxious about the degree of practical knowledge that I would need. However, the course turned out to be the perfect bridge between academia and industry. When I returned home, inspired by the people and experience I had gained, I started an MA in Screen Documentary at Goldsmiths. I have made three documentaries since Cuba, but my memories and experiences from that first film will always stay with me. Going to EICTV in Cuba was one of the best experiences I have ever had. The school is inspiring and everyone there is very creative. During the course we had the opportunity to see many films, also from the regular students, and we were impressed to see how talented they are. The energy was great and it was wonderful to meet people from all over the world. The course was very intense since we had a lot to learn in only four weeks and sometimes things didn’t go the way we planned. However this contributed to the learning experience since it taught us to deal with the unexpected and reinforced the idea that film making is a challenging but rewarding experience. 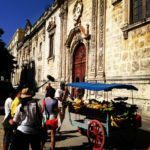 Every day was exciting and an adventure, filming in Havana, listening to our teacher’s advice, having fun at the swimming pool or discovering interesting facts about Cuban culture. I was very pleased with the final result, our own documentary, which I showed to a film production company in Sao Paulo. After taking the course I moved to Sao Paulo and started working at the film production company. The experience I had in Cuba certainly helped me to get the job since EICTV has a very good reputation and I was able to acquire many skills. EICTV was a fantastic experience and I would strongly recommend the course. It encourages you to think analytically and creatively about documentary film, and also gives you the opportunity to realise your own documentary ideas. 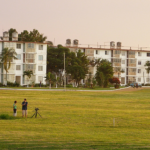 Cuba is a fascinating country to travel and the perfect location to make documentary films. The experience at the EICTV was by far one of the most of the most interesting, educational and valuable I have ever had. The course, taught by Enrique Colina, lasted a month and began with an intensive 2 weeks introduction to documentary film. The final two weeks were spent putting all we had learnt into practise and making a 10-minute documentary film. I learnt many things; how to brainstorm, how to pitch an idea, how to work in a group of 4 different directors where teamwork was vital, how to set ourselves an objective, the hypothesis of a documentary, how to put our ideas into forming a script, how to formulate questions in order to extract the relevant answers and information from people and how to interview people. We learnt that after a day’s filming it was paramount to watch the footage to see how the filming was going, if needed to focus on other things or if we were missing things out. 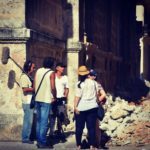 Working with a Cuban film crew was a fascinating experience. Our crew were able to contribute and help us in many different ways, in linguistic, technical, productional and cultural matters. 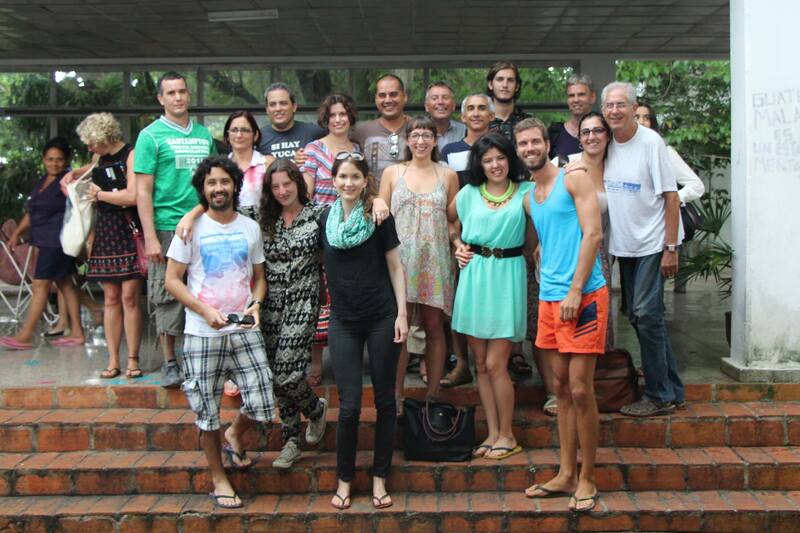 The month-long course at the EICTV in Cuba was a fascinating and challenging experience. I learnt a huge amount about film and documentary-making thanks to the informed and friendly team who helped and guided me throughout the course, and in the making of the final 10-minute documentary. Not only did I benefit from the course but I also had an insight into Cuba and Cuban life that enabled me to see for myself what a beautiful and interesting country it really is. I had a wonderful time in Cuba. The classes were a rigorous mix of theory and practice that kept us constantly on our toes. 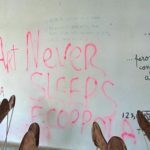 I really valued the emphasis on practical exercises from the start, it was effectively a total immersion – not only in the practice of film making, but in a whole new culture as we were going out to find subjects in the world around us. We had a glimpse of Cuban life which would have been almost impossible under any other circumstances. I am also thankful for the opportunity it gave me to and the Latin American students and teachers we worked and lived with. 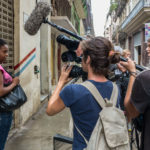 Cuba is an inspiring place to make a documentary and EICTV provided great support and guidance. The structure of the course meant theory learnt in the classroom was applied to practical exercises outside. We were given freedom to try out our own ideas and it was a great way to build confidence. The whole month was an amazing and challenging experience that reaffirmed my interest in documentary filmmaking. I really enjoyed the people and the trips into Havana and the opportunity to go back to the school in the last week to edit. 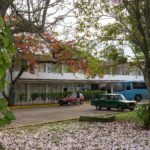 The accomodation we stayed in when in Havana was beautiful and I really enjoyed being in the heart of the city. The film analysis taught by Colina was really interesting and I also really liked the opportunity to see other people's videos from the year before. 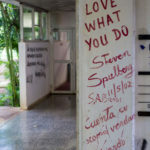 Things I enjoyed: Living and shooting in Havana. Classroom based film theory. Great crew and staff. The olympic sized pool.